Chapter by chapter, I’m approaching the completion of my next novel, Werewolf Castle. It will be the third part in the Werewolves in the Renaissance series. 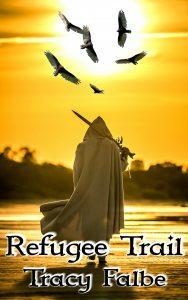 From some of the reviews left online by readers of the earlier werewolf novels, I’ve gathered that people are quite interested in Thal’s father, Sarputeen. We get to know more about him in the second book, Journey of the Hunted, but in the third installment, Sarputeen will be playing a large role. Although he’s a werelord like Thal, meaning that he has full control over his shifting with a magic fur and spoken spell, he’s a sorcerer as well. In the excerpt from Chapter 19 of the work in progress that I’m sharing below, you’ll see that Sarputeen understands magic that goes far back into prehistory. When he’s developing a strategy for his war against Tekax, he decides to consult the rune bones. Sarputeen opened a drawer and removed a leather bag. Simple stone beads strung on strips of leather adorned the bottom of the bag. Objects inside the pouch clicked quietly against each other. “I will cast the rune bones,” he said. Mileko perked up with interest. He had never witnessed his master perform this magic or known that he could do it. He had heard old stories that told of such things, but such divining was an art from antiquity. Thal knew nothing of such things, and he leaned over the desk as his father poured out the nine pale discs. Lines carved into the yellowish bone-like material divided the circular faces into three sections. Each section held a symbol. “May I?” Thal asked reaching for one. His father nodded and he picked one up. One crude design looked like a vulture or maybe a hawk. The simple skull next to it was less ambiguous, but he did not know what the third symbol could be. He flipped the disc over and studied the symbols on that side. Within the etched lines he thought he saw a rain or tear drop, wavy lines, and a flower. Baffled by the symbols, he considered the material. Age had worn it smooth, but it looked to have tight rings like a tree. “Is this bone?” Thal asked. “It is cut from the tusks of a great beast from a past age,” Sarputeen said. Thal looked up, astounded by the possibility. “This is far more than some boar’s tusk,” he said. “I wouldn’t presume that this came from a boar. The mentor who taught me in the casting of rune bones told me that he took them from a shaman’s tomb hidden under a hill. They are old beyond our ability to reckon it,” Sarputeen explained. 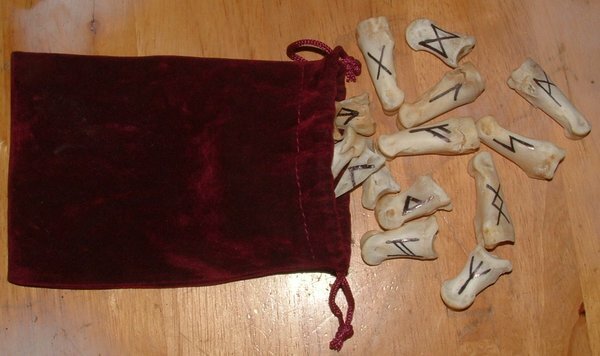 “Essentially, you pose your question and then select three rune bones from the bag without looking at them and cast them and then interpret the combinations of symbols. That will be the answer from the spirit realm,” Sarputeen explained. “And you believe in these runes?” Thal asked. As I work on the conclusion of this trilogy, you can start the series for free by downloading the ebook Werelord Thal: A Renaissance Werewolf Tale. If you’ve already read my werewolf novels and are waiting for Werewolf Castle, I’ll continue to apply myself to its creation. 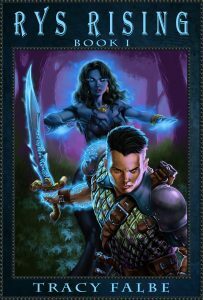 Perhaps you’d like to read one of my other series The Rys Chronicles or Rys Rising in the mean time. You can start those series with free ebooks as well. Thanks for commenting Gary. Werewolf Castle will complete the trilogy I have planned. I hope it’s not too much of a spoiler to say that I’m not going to kill Thal, so the door would be open to more stories.